Craft loving families often have the issue of what to do with the craft once it is complete. Due to space restrictions, it just isn’t possible to save every craft project. For this reason, I love crafts that can be displayed outside! Not only are they fun to make but they brighten up the garden. 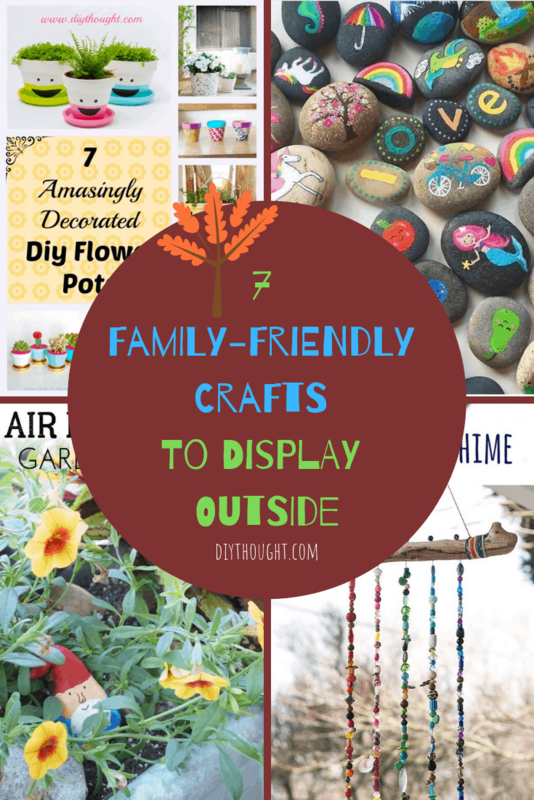 These 7 family-friendly crafts to display outside are lots of fun to make, perfect for the whole family to work on together and will look awesome in your garden or outdoor space! Small, sweet and easy for school-aged children to make and lots of fun for teens and adults. 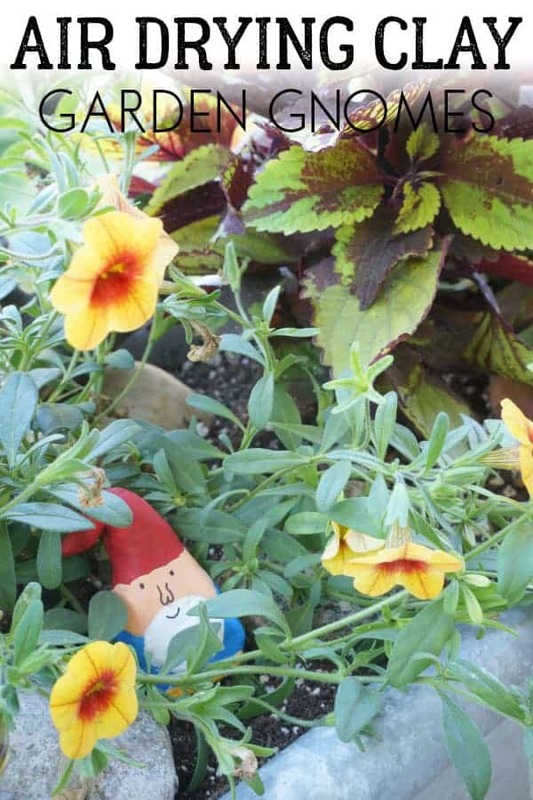 We are loving these air dry chay garden gnomes. Visit Rainy Day Mum to find out more. Everyone who loves beading will love this beaded wind chime! It jingles in the wind and adds a burst of color to the garden. Head over to Garden Therapy to find out more. Bird feeders can be a lot of fun to make. There are many different styles of DIY bird feeders, some are very simple while others can be decorated in bright fun colors. 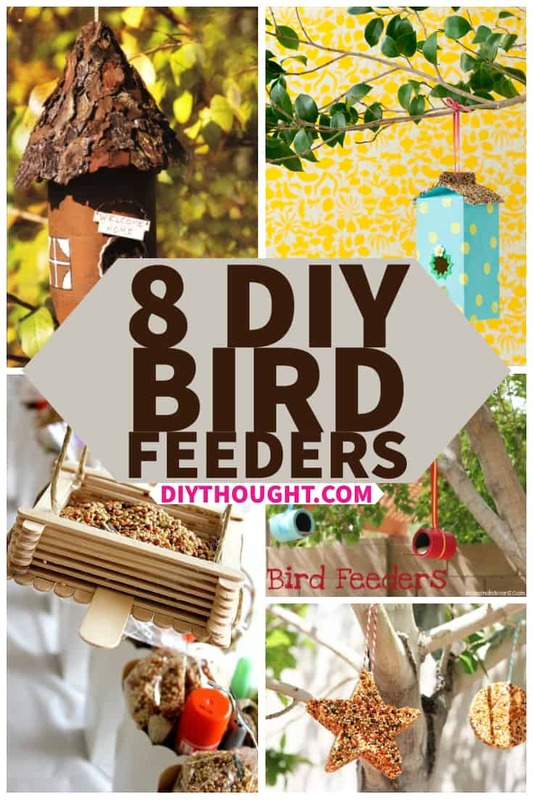 Check out our list of 8 DIY bird feeders to find the perfect bird feeder for your garden. 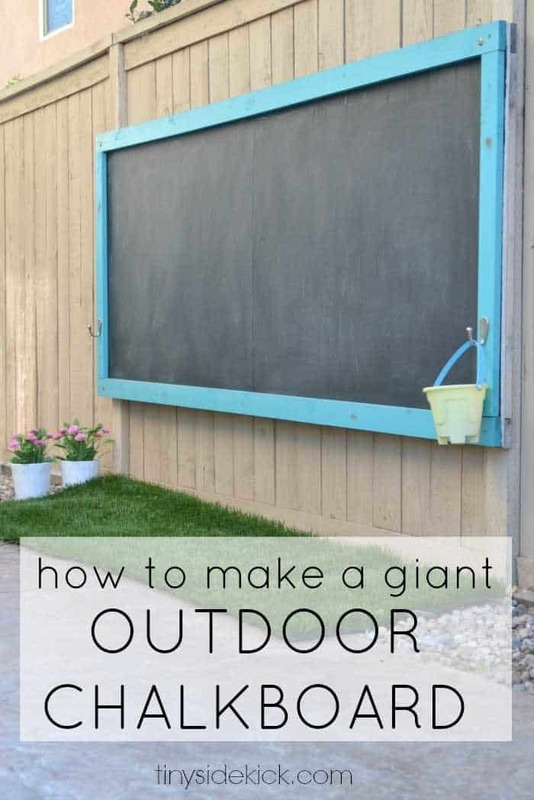 Take the art outdoors with this giant outdoor chalkboard. This is sure to keep the kids well occupied! Click here to find out how to make it. 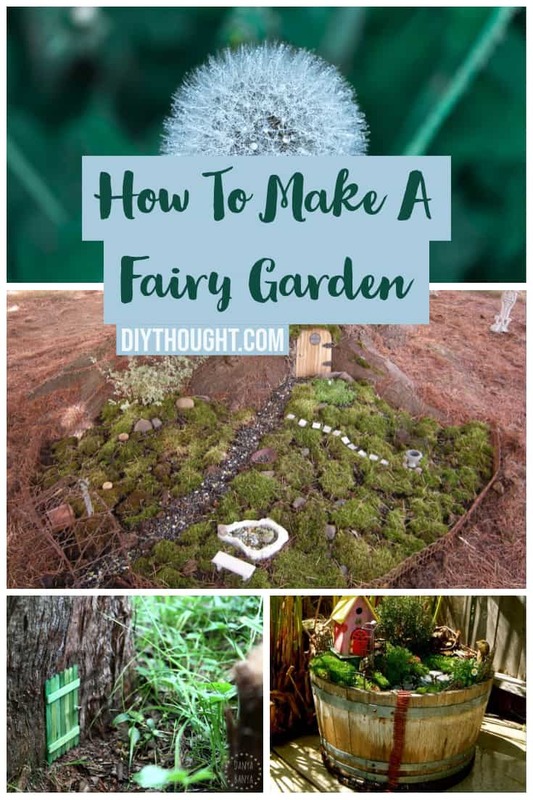 There are many different ways to make a fairy garden. From gardens around the base of a tree to flowerpot gardens. It is even possible to make all of your own decorations! Follow this link to find out more. 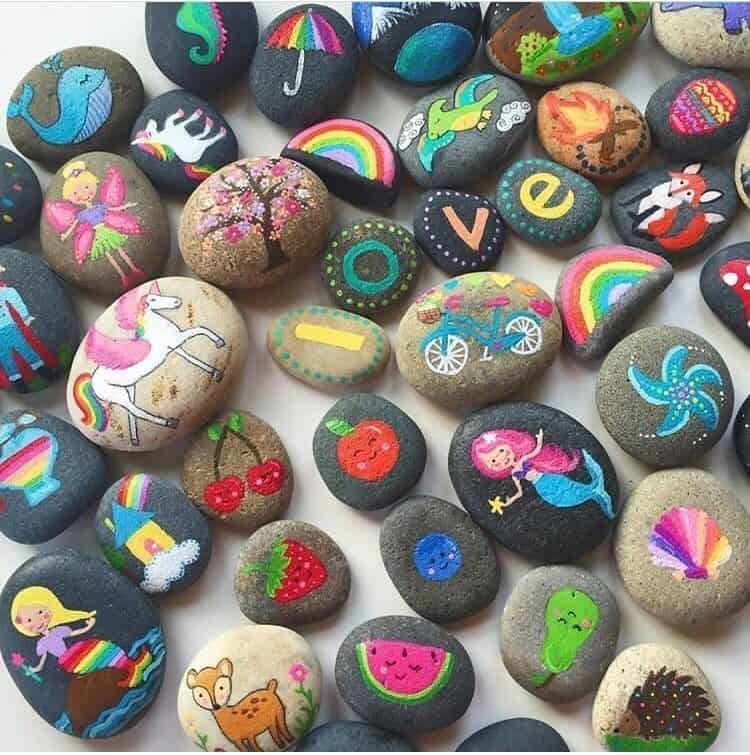 Painting rocks can be lots of fun for all of the family. From the youngest artist to the oldest all can enjoy this craft. After the rocks have dried have fun hiding them outside. Color Made Happy has a great guide to rock painting. Transform plain flower pots into ones that are stunning. 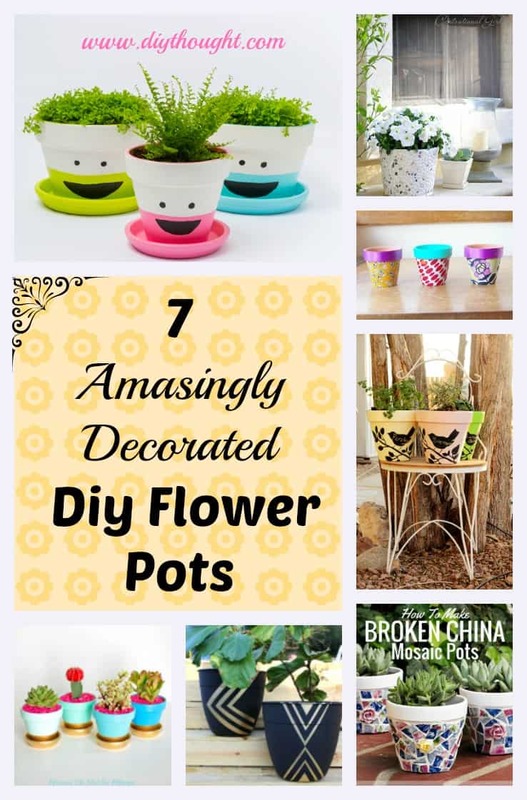 There are many different ways to decorate a flower pot, the easiest being to simply paint it! Kids will love painting flowerpots and after choosing a plant to grow. To mosaic, a flower pot is an absolutely beautiful way to decorate and would make a fantastic gift or be a lovely touch to your garden. Click here to see some of our favorite decorated flower pots.